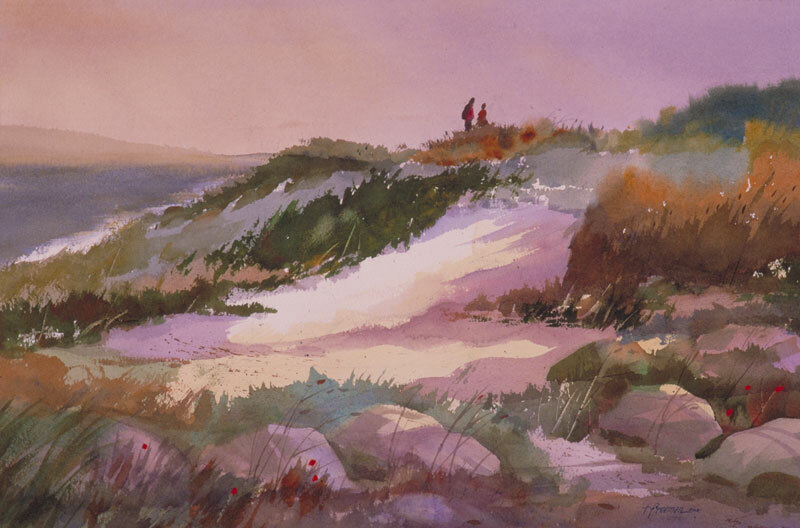 Thomas Freeman Original Watercolor Painting: "A Walk by the Sea"
I like the loose treatment of the foliage and rocks here. The weeds go from soft-edged to hard- edged. The sun is from the right and grazes the tops of some foreground rocks; the rest are in shadow. This picture appeared in the 1998 National Show of the California Watercolor Association.